This mod idea is based on PowerCrystals "Power Converters" Mod. Energy Converters provide you 3 different Block Types: Energy Consumers, Energy Producers and the Energy Bridge. The Energy Consumer will consume energy from an energy source and store it inside an adjacent Energy Bridge. An Energy Producer will convert that energy to another type - just connect a cable or any machine to the producer and you are good to go. A single energy bridge supports up to 6 consumers and/or producers (1 per side) - but any consumer/producer may only connect to one bridge at a time! The conversion rate is currently 1 Eu : 4 RF : 4 Tesla. To get the Energy Consumer, just put any producer into a crafting grid and you get the corresponding consumer. I've found some time to test this and I was able to fill an energy cube from mekanism with an IC2 Solar panel by connecting the panel to an EU consumer and connecting the energy cube to either a RF or FE producer. The same worked for the other way around. Hello, Thank you for reviving this mod but If I can ask. 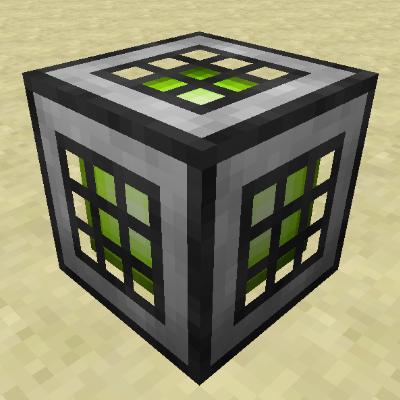 Is there any chance you can remake/add the Liquid Energy Mod PowerCrystals had back in 1.6.4 (I think). If you need the files I think I still have them, Iv tried several times but every build I make crashes. I've found the mod on the Minecraft forum. Looks like an interesting concept. I'll play around with the idea, but I'm not sure if I'll add this. Back in 1.5.2/1.6.4 we've had some nice storage tanks with railcrafts multiblock tanks. I'm not sure what storage options are available now besides some huge capacity single block tanks. It doesn´t work with the 1.12.2 version. Please create a 1.12.2 version. rf producer 1.12.2 where is it ?????? Most likely the Forge Energy Consumer. Nothing really uses RF these days - besides Thermal Expansion and some odd ball mods. Most mods are compatible to FE (even Thermal Expansion supports FE). I've taken a short look into the magneticraft source and they seem to support FE just fine. Is this mod not being updated anymore? If not, anyone know of another conversion mod that uses machines and cables? I dislike converters that magically change energy. 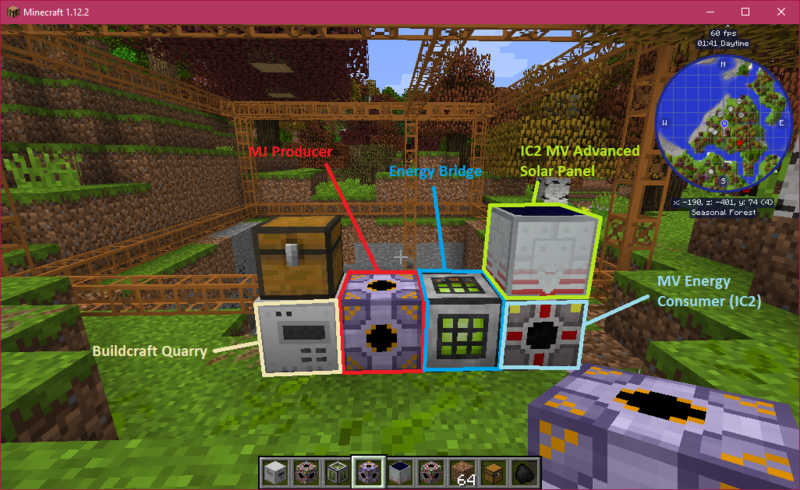 I have been searching a lot for a mod that could convert buildcraft energy (MJ) into (RF). I finally found this mod, and became really happy! Why does it say on the overview page that it supports MJ, when there are no MJ consumers or producers? I only see for RF and FU. Am I misunderstanding something or..? I'm running Minecraft 1.12.2 with forge 2675. And I have also a bunch other mods installed as well. I have a modified version that supports mj, do you want it?